L-Carnitine is made in the body. Supplementation offers a host of health benefits that include brain and neurological health, increased endurance during workouts, greater muscle growth and strength gains, and weight management benefits. Three People; hours; several sleepless nights worth of research; interviews with health practitioners; lots of coffee – that’s what it took to put together the most informative l-carnitine resource on the internet. L-Carnitine and Acetyl-L-Carnitine (ALCAR) are considered to be “vitamin-like” supplements that closely relate to B-Vitamins and are compounds known for improving cardiovascular health, reversing the effects of aging, preventing disease, improving depression, and decreasing muscle soreness. Carnitine offers a host of performance enhancing benefits too. If you have never tired l-carnitine supplementation for yourself, you may be missing out on a lot of potential benefits. Picture better lifts, more energy, faster recovery, less muscle soreness, more weight loss and a better looking physique. A healthy diet, lifestyle changes and nutritional supplements are all part of the equation for achieving a great looking body. With hundreds of different products and brands available, it’s important to consider that choosing the right one to put in your body is important. If you’re going to try safe money and cheap out on high quality supplements you aren’t doing yourself any favors. Its best to spend a little extra (if it calls for it) to get quality over quantity. You’ll find that people are being encourage to always make sure they’re getting the best for their bodies. 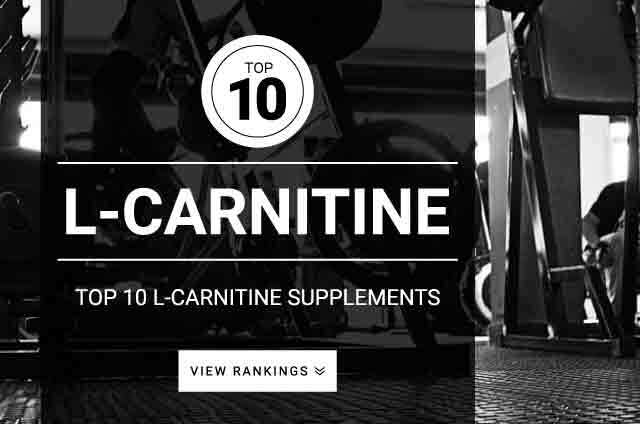 It’s important to consider what makes a good l-carnitine supplement. Products that include a solid dose of l-carnitine are considered excellent, highly effective supplements. However, aside from just dosage, the most important thing to look for is the brands credibility. Spend a little extra and get the more trusted product. That said, here are the most critical features to look for before you make your final decision. L-carnitine should be the first ingredient listed. No fillers, No Preservatives. Positive user reviews are always nice to see. Sometimes they are not always the best way to judge but if there is a lot of red flags just go with another product. Dosage needs to be accurate and effective. A product that has 500 mg of carnitine or higher is recommend. Taste is important. If you can’t stomach your supplement then that is not helping anyone, now is it? Pill size. A lot of products out there have huge horse size pills. Best to avoid 1000 mg pill servings since they will be a lot bigger and more difficult to take. Check the brands social media profiles. One of many ways to check up on a brands credibility. Liquid Form – Hate taking pills? Try a liquid form of l-carnitine. Works as good if not better, especially for those of you who have stomach issues with pills. Powdered Form – If you have issues with pills or don’t prefer the liquid form, you can always go with a powdered versions. Pill Form – Pills are always simple. If you want something easy to carry and take, go with a pill form. The standard dose for L-carnitine is between 500 mg – 2,000 mg. There are three other variations of l-carnitine that are readability available. Aside from enhancing exercise performance, blood flow, fat burning and recovery, these three forms have unique benefits of their own. Acetyl-L-Carnitine (ALCAR) – Can help with mental focus ,drive and alertness. Used for its cognitive enhancements. L-Carnitine L-Tartrate (LCLT) – You will find this form in a majority of pre-workout supplements. Its used for physical performance and power output. Glycine Propionyl L-Carnitine (GPLC) – Often used by runners, bikers or those who do a lot of cardiovascular exercise. Helps alleviate muscle pain, cramps, tiredness in the legs due to poor circulation. Helps support healthy blood flow. The best time to take carnitine if you’re training is post-workout, but you can take it with any high-carb food throughout the day for maximum effectiveness. Can be taken without food in between meals. Be sure to follow up a no-food dose with a high-carb or protein meal for best results. There appears to be no reason to cycle off l-carnitine. When taken regularly, it should continue to be effective long-term.